Gavin Moynihan is the top Irish player in the World Amateur Golf Ranking. 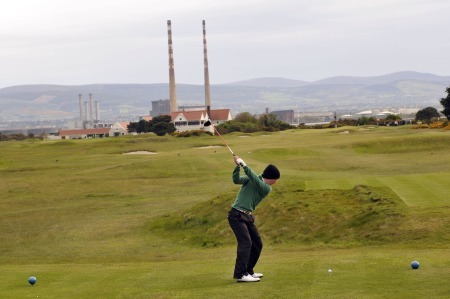 Picture by Pat CashmanSchoolboy sensation Gavin Moynihan might be Ireland’s No 1 amateur but he won’t get the chance to go for glory in next month’s Irish Open at Royal Portrush. The 17-year old from The Island pulled off a shock victory in the Irish Amateur Open at Royal Dublin last weekend to become Ireland’s top ranked player in the World Amateur Golf Ranking, soaring 225 places to 101st. But his win came too late to secure one of two Golfing Union of Ireland nominations to rub shoulders with superstars Rory McIlroy, Padraig Harrington, Graeme McDowell or Darren Clarke on the Dunluce Links from June 28 to July 1. Harry Diamond is Irish Open bound.Moynihan said: “There was a lot of speculation about getting a place in the Irish Open but I’ve heard nothing. I’d love to play in it but it never crossed my mind when I won on Sunday. I was just delighted to win the championship. Members of The Island have been calling the Golfing Union of Ireland wondering if their newest star would get the chance to tee it up alongside the game’s superstars on the European Tour. But the GUI confirmed it had just two nominations for this year’s Irish Open and awarded them to two Ulstermen - Rathmore’s Alan Dunbar and Ballymena’s Dermot McElroy - more than four weeks ago. Dermot McElroy will play in his second Irish Open next month.The names were chosen on the basis that the closing date for entries for the Brabazon Trophy, which clashes with the Irish Open, was April 17. Royal Portrush secured an invitation for its reigning North of Ireland champion Patrick McCrudden while the European Tour has extended a special invitation to McIlroy’s best friend, West of Ireland champion Harry Diamond of Belvoir Park. Diamond is 113th in the latest world rankings while Walker Cup star Dunbar is 370th, McElroy 419th and McCrudden 2,624th. Diamond is currently on the Brabazon Trophy entry list but has already withdrawn. The Irish Close championship will be played at Royal Portrush next week (May 25-27) but the GUI also confirmed yesterday that the winner will not earn a place in the Irish Open field. Rathmore’s Alan Dunbar will play in the Irish Open in his home town.Meanwhile, the European Tour confirmed yesterday that Masters champion Bubba Watson has been ruled out of playing in the Irish Open due to personal commitments. With world No 1 and US Open champion McIlroy set to be joined by major winners Harrington, Clarke and McDowell, the Irish Open does not need many more big names. US PGA champion Keegan Bradley has already confirmed his participation but it will be interesting to see if the tour or Ireland’s big four have managed to convince more big names to travel. Finnigan would not confirm if he was talking about the likes of Australia’s Steven Elkington, Scotland’s Paul Lawrie and New Zealander Michael Campbell or more recent majors champions such as Charl Schwartzel, Louis Oosthuizen or even Phil Mickelson. The Irish Open is still without a title sponsor but Finnigan confirmed that local dairy business Dale Farm has come on board as an official sponsor. Getting a few more big names would certainly be cool. Walker Cup star Gavin Moynihan will be joined by Ballymena's Dermot McElroy, West Waterford's Gary Hurley and 2013 Irish Amateur Open champion Robbie Cannon in next month's Irish Open at Fota Island. 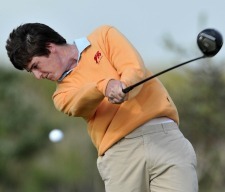 Gavin Moynihan drives at the 14th en route to victory in the Irish Amateur Open at Royal Dublin. 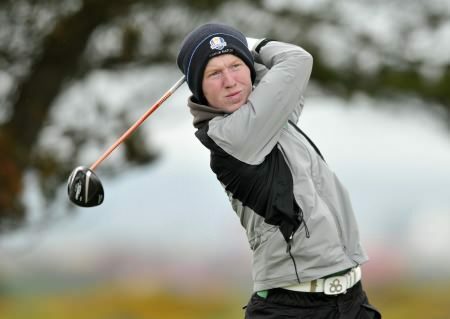 Picture by Pat CashmanIrish golf witnessed a changing of the guard at a windswept Royal Dublin yesterday when 17-year old schoolboy Gavin Moynihan of The Island closed with rounds of 76 and 75 to win the Irish Amateur Open by a stroke. 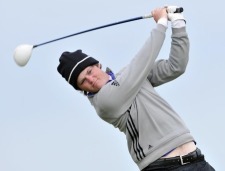 Harry Diamond will be one of the men to beat in the Golfsure sponsored Irish Amateur Close Championship. Pictured during practice at Royal Portrush’s Dunluce links by Pat Cashman.Nine of the last 11 Irish Amateur Close champions joined the paid ranks but don’t expect Harry Diamond to take the plunge if he lifts the title at Royal Portrush on Sunday evening. 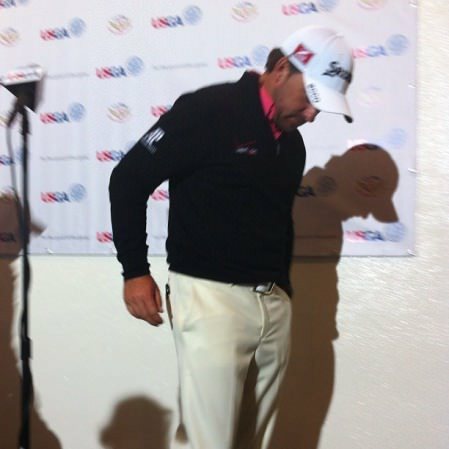 Graeme McDowell was bitterly disappointed to finish second in the US OpenThe Masters and the US Open ended in disappointment for Ireland’s top players but the spring and early summer still brought its share of highlights, culminating in a sellout Irish Open at Royal Portrush. 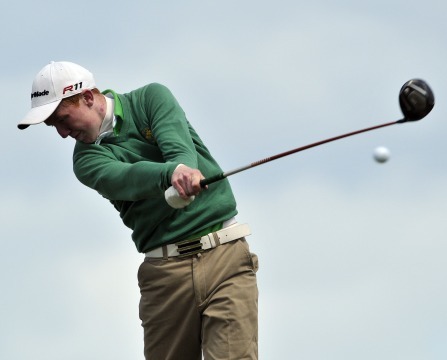 Gavin Moynihan missed out on the Irish Open last year despite winning the Irish Amateur Open. Will Robbie Cannon get a chance this year? Picture by Pat CashmanThe GUI has selected Gavin Moynihan, Kevin Phelan and Reeve Whitson to join Welsh Amateur Rhys Pugh in the Irish Open at Carton House from June 27-30. But who would you like to see get the other eight invitations to tee it up?